What Happens When Frac Tanks Leak? Hydraulic fracking is an unconventional means of extracting oil and natural gas where water and chemicals, including hydrochloric acid, are injected under high pressure into rock formations to “fracture” and allow oil or gas to flow through fissures in the rock. This technique is used because natural gas is dispersed throughout the rock, instead of being concentrated in a central, underground location. While this is both cost-and-time-effective for companies to increase production, it does have to meet the same rigorous safety standards as other oil and natural gas production methods, and when frac tanks leak, companies expose workers and the environment to hazardous fluids, and expose their businesses to costly fines and potential litigation. The internal pressure of the rock causes the chemicals, water, and other naturally occurring fluids to come back up the wellbore. This is typically called “flowback”, but may also be referred to as “produced water.” Flowback is usually typically stored in acid tanks, commonly referred to as “frac tanks” or pits before being disposed of or recycled. 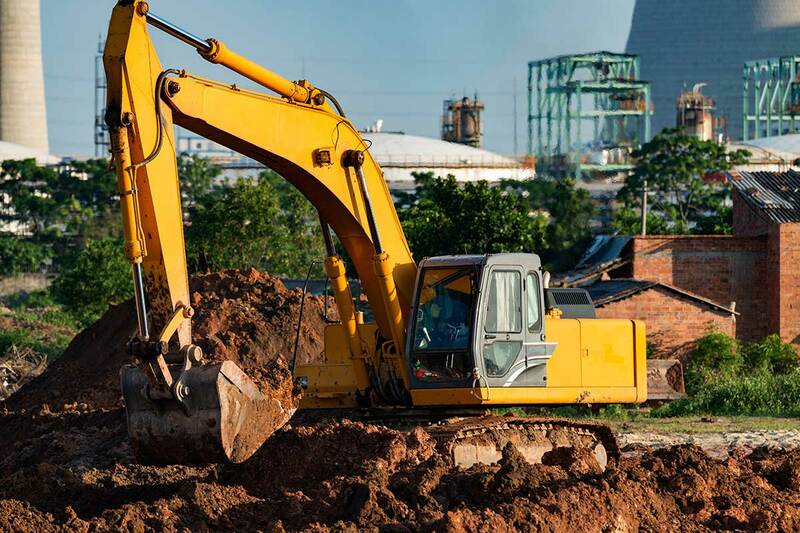 A major concern with the fracturing process is the risk of wastewater leaking from wells or containers into the ground. To protect workers, the environment, and to avoid costly fines and litigation, energy producers rely on multiple containment systems, which can, and do, leak hazardous liquids. What happens when fracking waste leaks into the ground? In North Dakota’s Brakken region, thousands of fracking wells have been built using hydrochloric acid in the extraction process. In 2016 alone there were roughly 4,000 reported fracking waste leaks. When this occurs, chemicals including radium, selenium, thallium, and lead end up in the groundwater. Of course, dangerous chemicals in our water supply is the worst case scenario. Thallium, for example, can dissolve in groundwater and, if ingested in large amounts, can lead to issues with the nervous system, including the heart, lungs, liver, and kidneys. What are an oil and gas company’s responsibilities to prevent contamination? Make sure there is open communication with local wastewater management about rules already in place as well as any future changes to those rules that may be on the horizon. Review all wastewater management practices for the area you are working within, including disposal method, permits needed, etc. Develop detailed plans for transportation of wastewater, including all steps required to make you compliant with regional rules. Have required training documented and provided to all personnel involved in the storage and transportation of wastewater. What costs are associated with environmental spills and contamination? Clean-up of environmental spills can cost hundreds of thousands of dollars and fines and litigation, millions more. In Pennsylvania, one company spent $109,000 on just 14 homes with contaminated well water. During that time they also had to spend over $100,000 on replacement water for those homes while trying to decontaminate the wells. A clean-up in Colorado has been ongoing for eight years now, costing hundreds of thousands of dollars. Aside from clean-up costs, each of these situations will be facing millions in litigation costs for pain and suffering of residents whose health may have been negatively impacted. Texoma MFG has developed a proprietary, patent-pending solution for preventing these problems before they even arise. 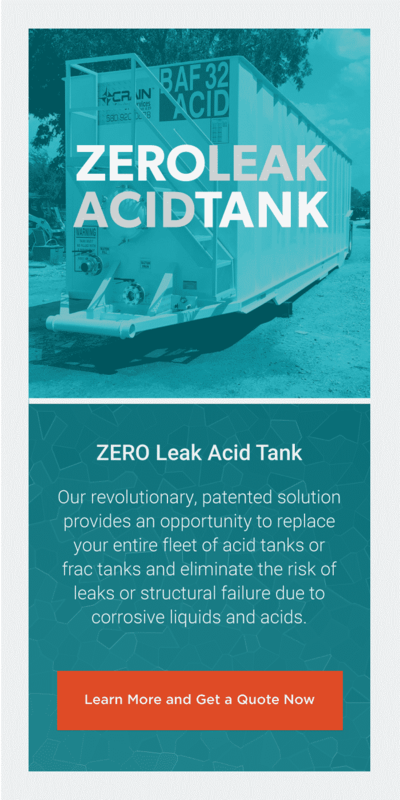 The new Leak-Proof Acid Tank can meet the standards of primary and secondary containment all in one tank. This new tank has a polyethylene bladder that contains the acid or other liquids in the container which is flexible to accommodate normal wear and transportation without ever never touching the steel walls, becoming the secondary containment method required. In field tests, the tank-system has performed with 100% containment. The walls are still lined with acid resistant lining, but replacement is rarely necessary thanks to the bladder containing the acid. Reach out to a representative today to find out how Texoma MFG can provide you with the means to prevent accidental leaks and spills, saving you the costly clean-up fees, litigation fees, and penalties that you might face if you don’t have a Leak-Proof Acid Tank!